Cooking for one (now two! ), with style. Bf and I were supposed to go to a friend's place for dinner this week, so I made a cheesecake. Then it was cancelled, so oh well, we'll just eat the whole thing! 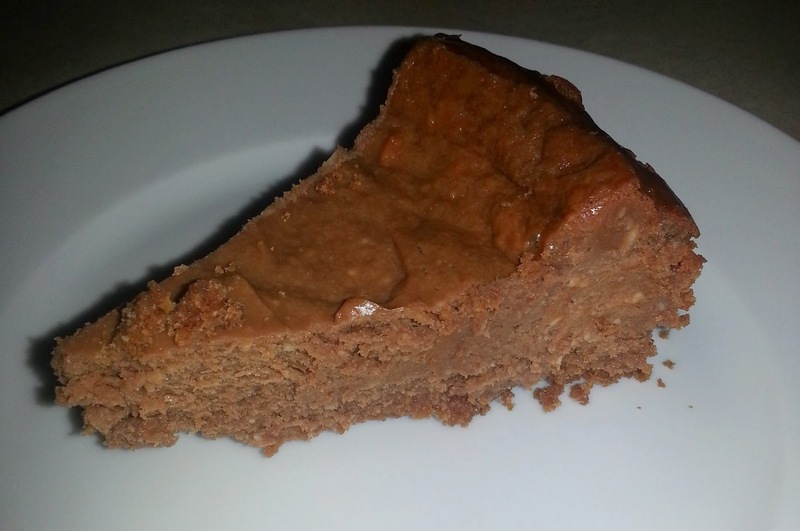 A few years back I was experimenting with nutella cookies, this time I wanted to make a nutella cheesecake. One of the really great things about cheesecake is you can add about a cup of anything and give it a different flavor without messing up the baking science too much. Experiment! When I went to the grocery store, I was excited to see Speckulas cookies! If your not familiar with speckulas, they're a spiced German/Dutch cookie commonly eaten in the fall and around Christmas time. They are very thin and normally shaped like windmills. My boyfriend has been steadily working his way through the leftover cookies for the last few days. If you're trying to find speckulas, I found mine at Aldi but you can also try World Market or Trader Joe's, I have seen them at both. If it's not fall you might have a hard time, in which case you can use a graham cracker crust or try shortbread! Preheat oven to 350°F. Place speckulas cookies in a zip bag. Crush into fine crumbs using rolling pin. Combine crumbs, butter and sugar (optional); mix well. Press crumb mixture onto bottom of springform pan . Bake 10 minutes. Remove from oven to cool. Meanwhile, place cream cheese in large mixing bowl with sugar, flour, eggs, and vanilla or almond; beat until smooth. Pour batter over slightly cooled crust. Return to oven. Bake 50-55 minutes until center is just set. Remove from oven. Cool 20 minutes and carefully run sharp knife around edges of cheesecake. Allow to cool and refrigerate until thoroughly chilled. OMG! Nutella and Speckulas together in one recipe! Should be illegal! :-) A must try! Did you try it Deb? Fall is around the corner perfect for speckulas!